We're back! 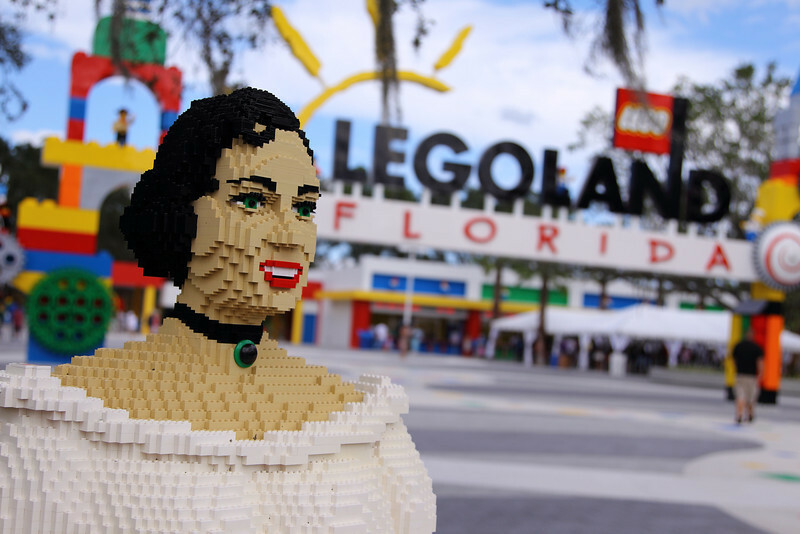 The rain soaked preview day of LEGOLAND Florida did not discourage my family but actually lured us for more on this past grand opening weekend. 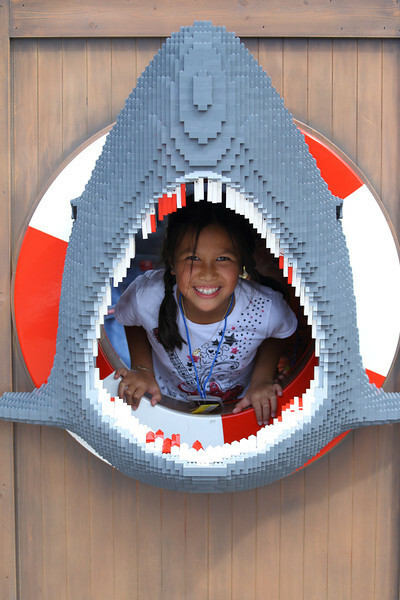 As official annual pass member holders, the one hour drive to the new theme park is the only obstacle for our LEGOLAND Florida experience. An amazing sunny day with cool temperatures gave my kids ample time to enjoy the new rides such as the "AquaZone" in LEGO TECHNIC. 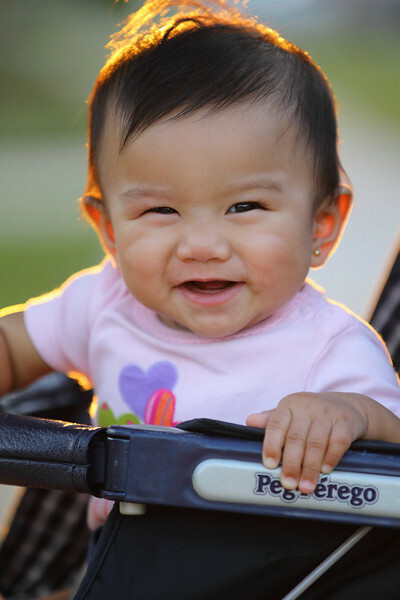 Another priceless expression captured with my Canon EOS 1D Mark IV paired with the Canon EF 70-200mm f/4L IS lens. Ready for lunch? T minus one second for auto start sequence of STS-Granny's Apple Fries into my son's mouth topped with cinnamon and sweet cream. The epic skyline of LEGO New York City and large scale replicas such as the Kennedy Space Center gave my family a hungry appetite. 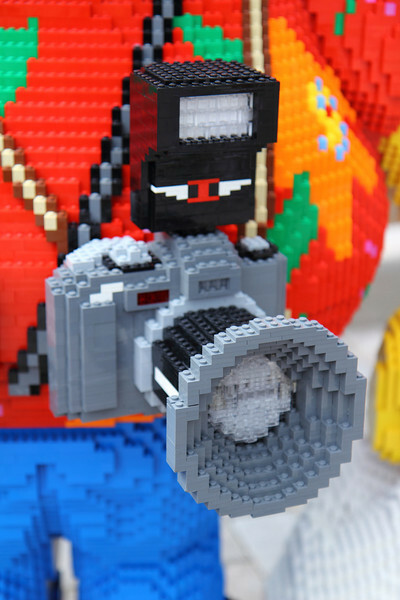 MINILAND with its vast LEGO cities will definitely eat up your camera memory card and battery. Very odd. Both hands on the wheel, eyes on the road and non existent swerving. The new Apple iPhone 4S must be in the safe hands of my Facebook App wife. Posting life's status one picture and video at a time. Mahal Kita! Kathleen! 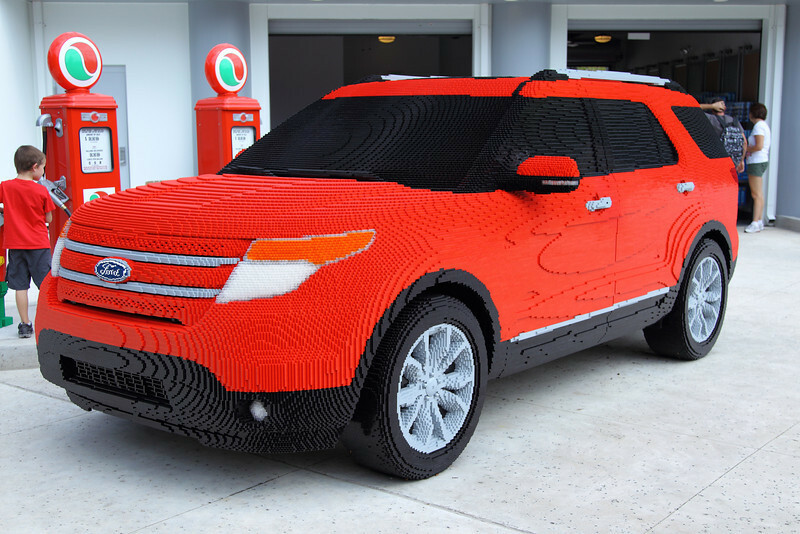 Ford Motor Company's sponsored DRIVING SCHOOL spearheaded by the life size 380,000 red LEGO brick Ford Explorer replica gave my son and daughter a real behind the wheel experience. Of course, a very long wait followed by a brief but fun LEGO car ride illustrated patience and frustration. Ships Ahoy! If LEGO cars are not your fancy, how about LEGO boats? Piloting your very own personal watercraft through the wary seas of BOATING SCHOOL will make you a worthy Captain. The only shark bait being consumed will be your wallet. My kids chum the water with constant "I want this and I want that" until your Mountain Dew soda induced psyche wears off and compliance sets in. Just like at Mickey D's, it is service with a smile. My COASTERSAURUS experience in LAND OF ADVENTURE will have to wait until my next visit. I wanted to extinguish my kid's overwhelming desire for their LEGO rides and attractions first before I get on this bad boy roller coaster. There is always a next time with an annual membership. My almost 8 month old daughter Serena just wanted to put every LEGO brick in her mouth. Very simple and nothing complicated about that! 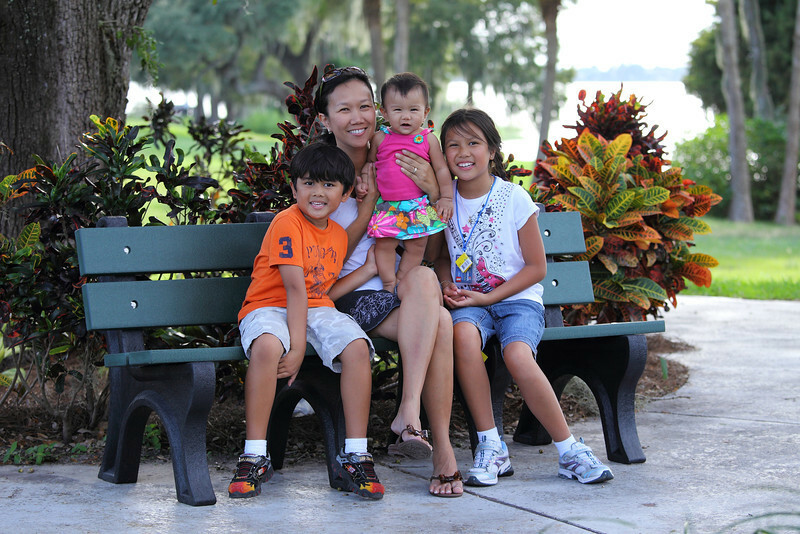 The historic botanical Cypress Gardens provided the natural backdrop for my family portrait. 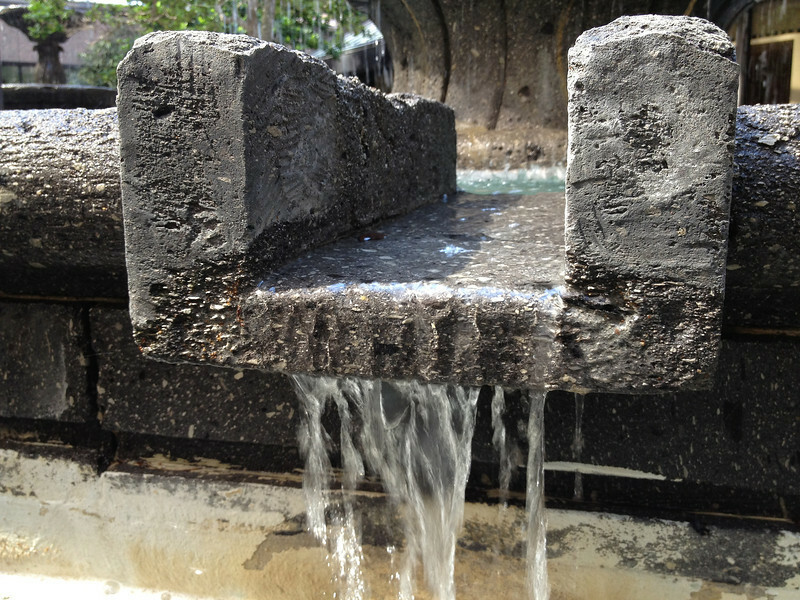 Concrete and LEGO bricks did not pave over the entire former Winter Haven, Florida sanctuary. Beautiful remnants of the first commercial theme park in Florida founded in 1936 still remain. The Southern Belles are now replaced by a LEGO replica at the front entrance and the past water ski shows now have LEGO Pirates treading water. Only in America! 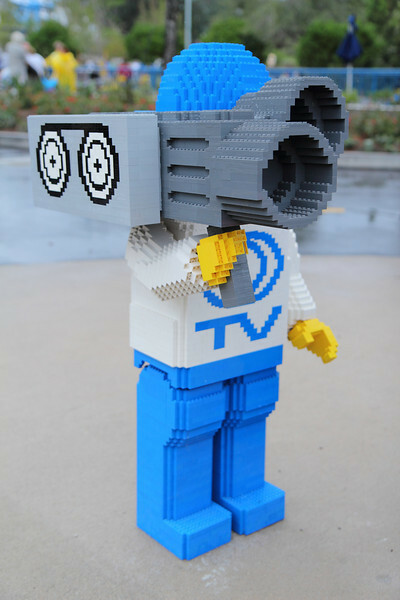 You can view more pictures and video shot with the Canon EOS 1D Mark IV paired with the Canon EF 24-105mm f/4L IS and the EF 70-200mm f/4L IS lenses in my LEGOLAND Florida Experience 2011. Where did everybody go? 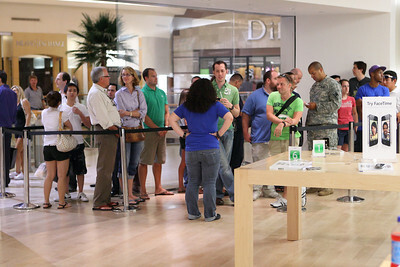 The Apple iPhone 4S launch day did not have the crowds, lines and chaos like last year. My early morning trip discovered a vast empty wasteland at the AT&T store. I walked in and was immediately helped by a salesperson to my long awaited Apple iPhone 4S. No line, no wait and no chaos. 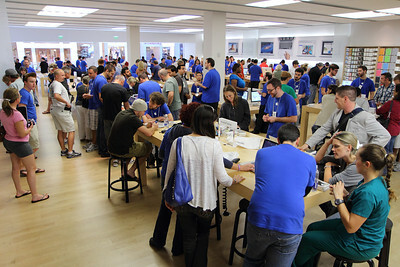 The record one million Apple iPhone 4S online preorders may have sucked all the potential Apple mobs from retail stores including the local Apple Store. My failed online preorder at the Apple website forced my iPhone 4S purchase at AT&T. My pleasant AT&T store experience was in stark contrast to last year's 3 hour and 45 minute wait at the Apple Store for the previous iPhone 4 release. What is all the buzz about? 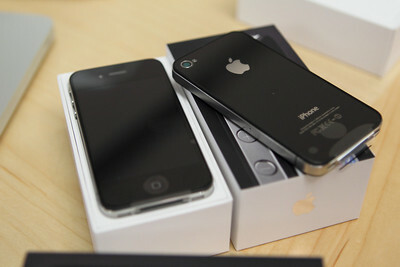 The new Apple iPhone 4S with the new iOS 5 operating system has over 200 new features. The new iPhone 4S has the new dual core A5 processor like the iPad 2. For photographers, the new iPhone 4S sports a 8 megapixel camera with a f/2.4 lens. On top of that, the dual core A5 chip with iOS 5 enables an amazing camera one half second recycle rate. I know it is not 10 fps but for all those Facebook photographers, it is a welcome new feature. For HD DSLR purists, the new iPhone 4S features 1080p video with built in image stabilization. There are more Apple employees than customers on launch day. 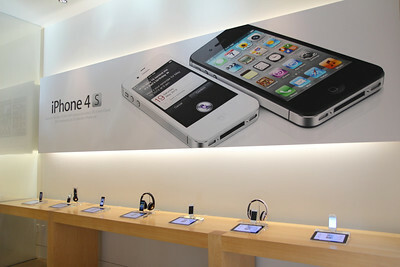 Apple prepared this year for the onslaught of questions of all the new iPhone 4S features like the virtual assistant "Siri". I even looked around the corner of the Apple Store for a waiting hidden crowd but I just saw vast emptiness. The Apple store went through the early morning crowd of at least 100 people very quickly. Kudos! Now for the good stuff. 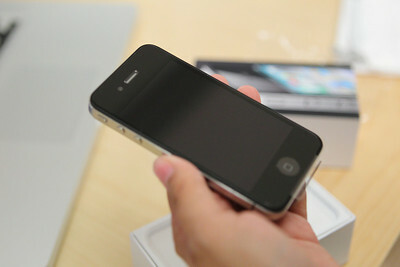 I manage to capture some quick images and video clips with the new Apple iPhone 4S today. 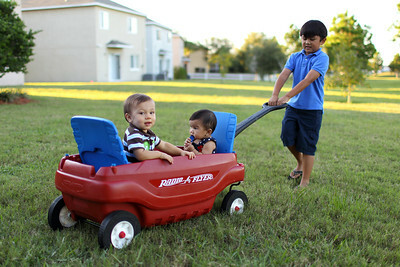 I wanted to try the new f/2.4 lens and the 8 megapixel resolution for still pictures. Completely handheld for all the shots, I wanted to test the new built in "image stabilization" feature for 1080p video as well. 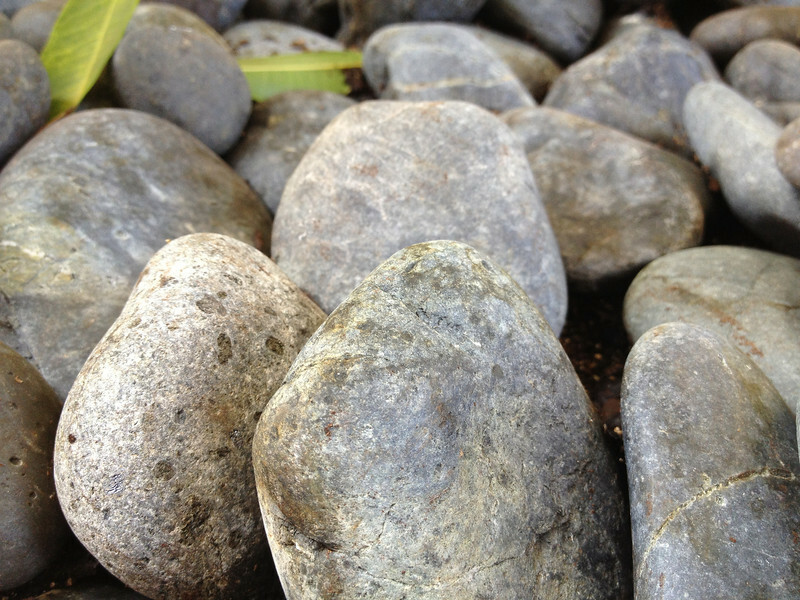 The Apple iPhone 4S 8 megapixel camera verdict on image quality is quite amazing to say the least. 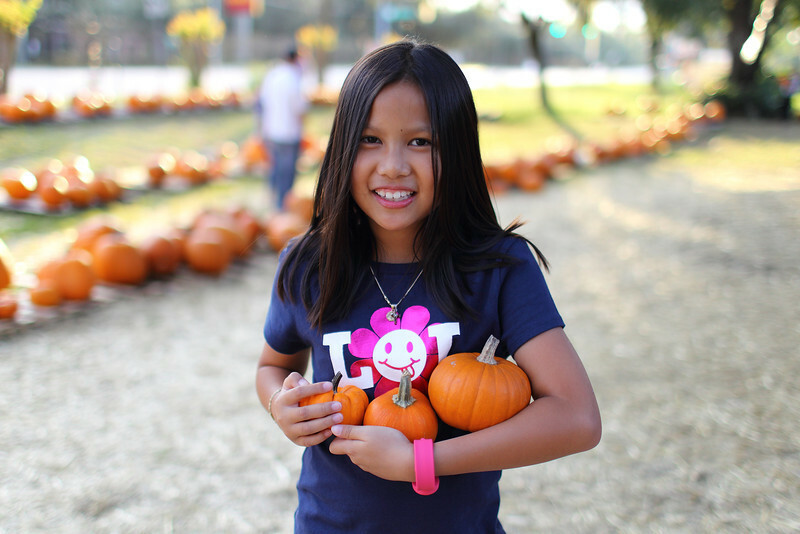 The color, sharpness and resolution are all there in my test shots. I was expecting soft, excessive color fringing on highlights and not so great phone pictures. 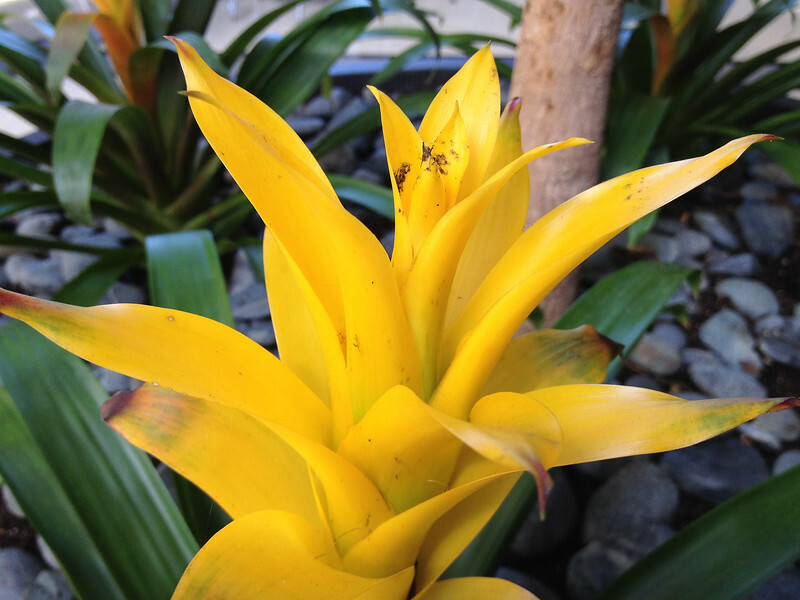 The Apple iPhone 4S still images are equal to or better than budget point and shoot digital cameras. You will be impressed. As for my Apple iPhone 4S video verdict, I give a thumbs up on 1080p video quality but a disappointing thumbs down on the new "image stabilization" feature. I was expecting stabilization like in my Canon ELPH 300 HS point and shoot but all I got was a very minimal stabilizing effect on my Apple iPhone 4S video capture. I already ordered a $20 Apple iPhone 4S tripod mount to solve this problem. Despite the lack of considerable in camera stabilization for video, the 1080p video quality is breathtaking. 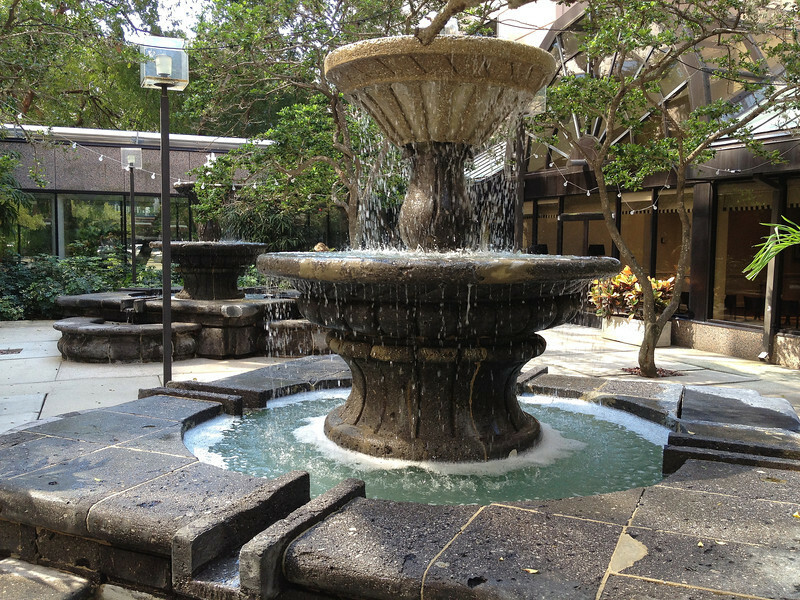 The 1080p video above was shot completely handheld with the Apple iPhone 4S at 30fps and edited with Apple iMovie'09. I used Quicktime to compress a 600mb h264 video file for Youtube. I apologize for the shakiness but as soon as my iPhone 4S tripod mount comes in, I will shoot a better video. 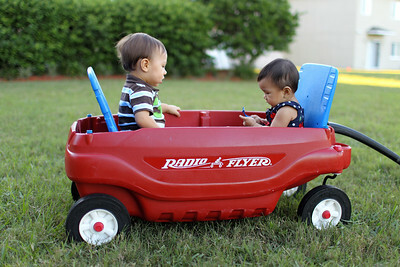 You can view more pictures and videos for yourself in my Apple iPhone 4S Experience and Video Test Gallery. 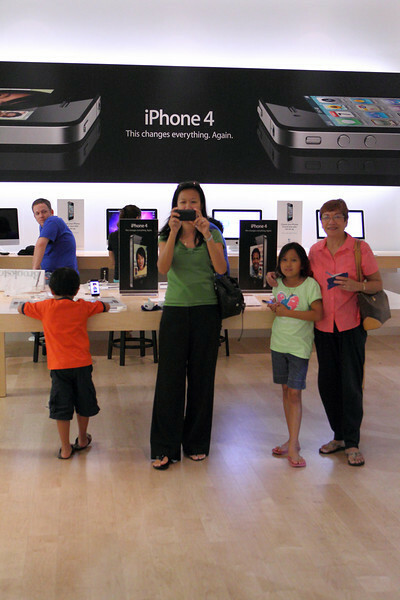 You can be the judge whether the new Apple iPhone 4S is worth your coin. The 1080p video and 8 megapixel images got me sold. Stay updated with the latest gear like the new Apple iPhone 4S by becoming a Fan on my Facebook Fan Page and following me on Twitter! Membership has its privileges. The grand opening of the new LEGOLAND Florida theme park in Winter Haven, FL does not officially launch until October 15, 2011, but my family got a sneak preview of this LEGO wonderland. 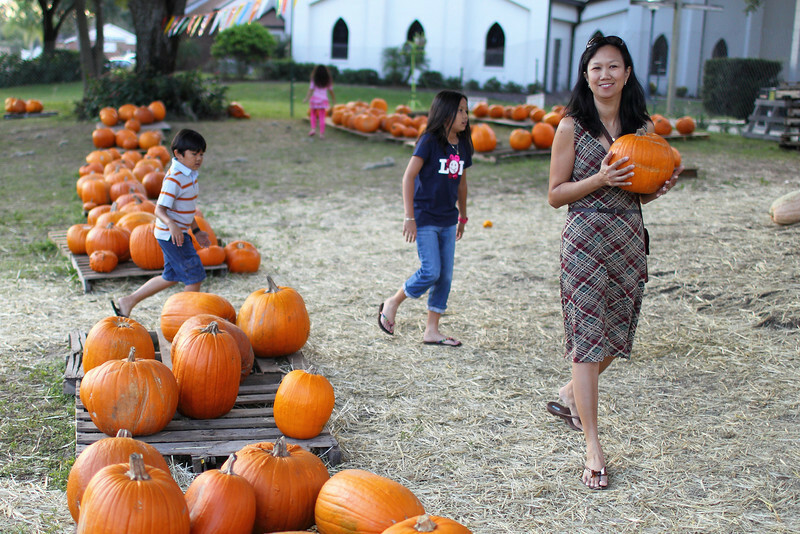 American Automobile Association members received discounted early admission tickets for this rainy weekend. 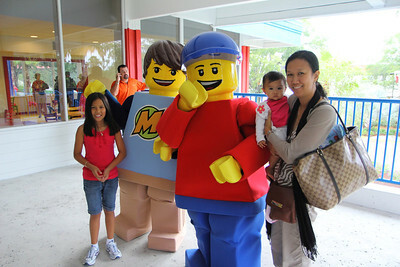 Inclement weather did not stop the family from enjoying all the sights and sounds of LEGOLAND Florida. 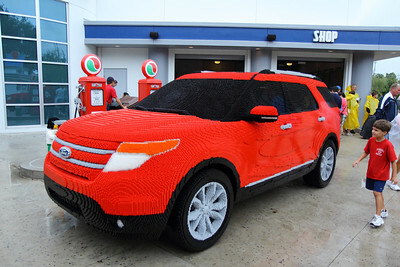 Some assembly is required for this life size Ford Explorer SUV made out of 380,000 LEGO bricks. 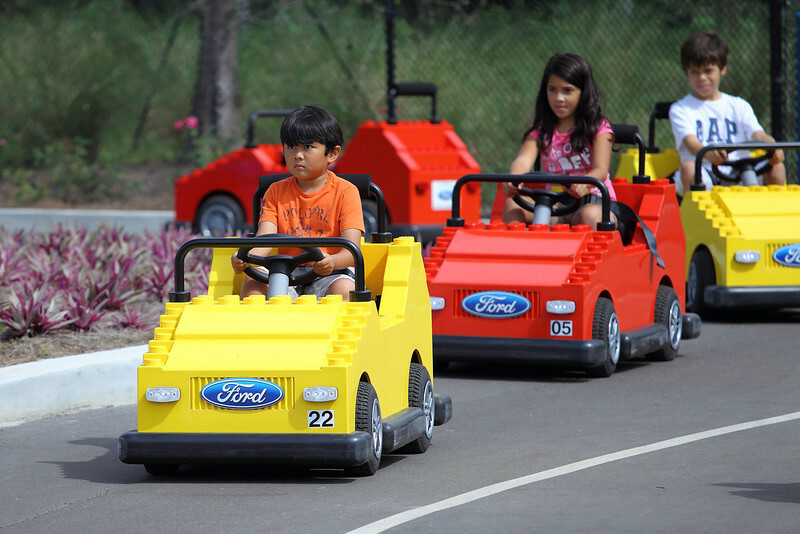 Ford Motor Company made a large impression for young future drivers in the "Ford Driving School" of LEGO CITY with miniature cars for kids with an authentic race track. This is dedication. 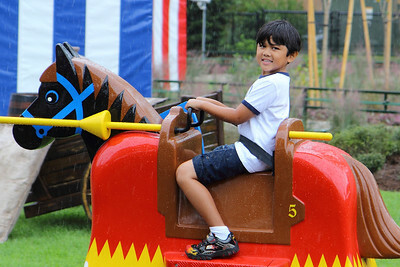 Through wind and rain my son rides the "Royal Joust" in LEGO KINGDOMS with a smile. My umbrella almost blew away covering my damp Canon EOS Rebel T3i paired with the Canon EF-S 17-55mm f/2.8 IS lens, but I captured the moment. Bright lights, Big LEGO City! 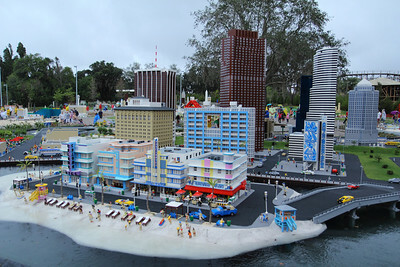 MiniLand is at the center of LEGOLAND Florida. 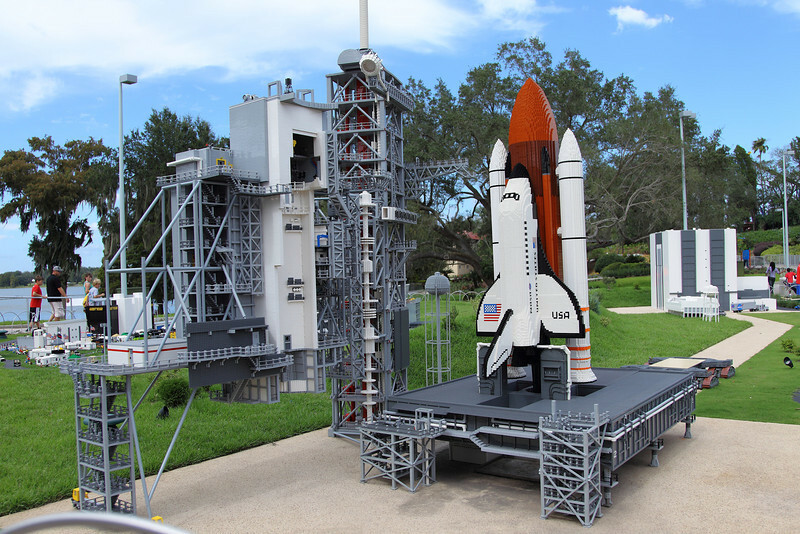 Detailed replicas of Florida destinations such as South Beach in Miami, FL to the Kennedy Space Center with an authentic NASA Space Shuttle on its launching pad. I do not want to forget the Tampa, FL downtown skyline and the iconic San Francisco, CA Golden Gate Bridge in all its glory. Bring an extra battery and memory card for your camera because this place is non stop photo moments. Who does not love DIY LEGO Robots? 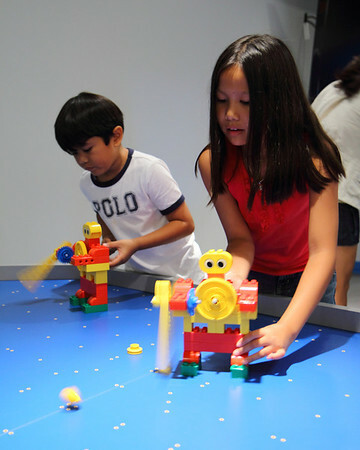 The IMAGINATION ZONE has interactive build and test activities for the young ones. If LEGO Robots are not your fancy, you can construct your own LEGO Racers and compete with other worthy challengers on the race track. 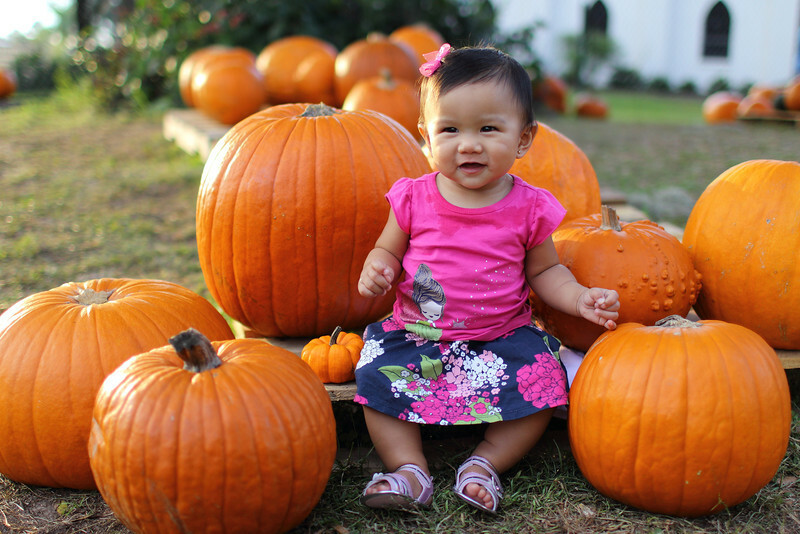 My seven month old baby daughter Serena has not much to do in this big kid planet but taste her toys. 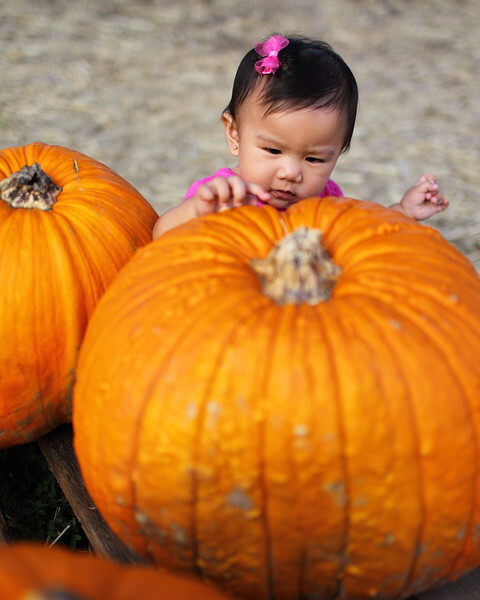 We are looking forward to the soon to be toddler days of our youngest. 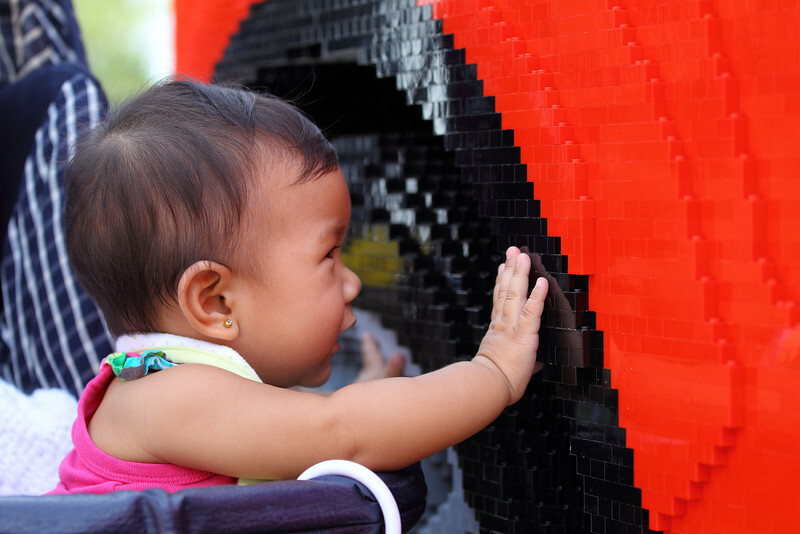 We purchased the Annual LEGO Membership for the family so we can come back and enjoy the toddler friendly DUPLO VILLAGE. 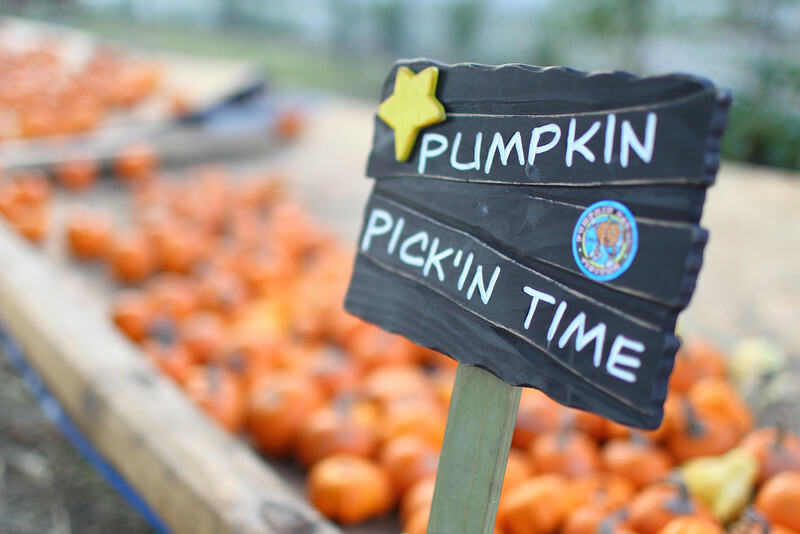 Catered for the kids under 3 years old, the DUPLO VILLAGE has kiddie rides and interactive play areas for the little ones. 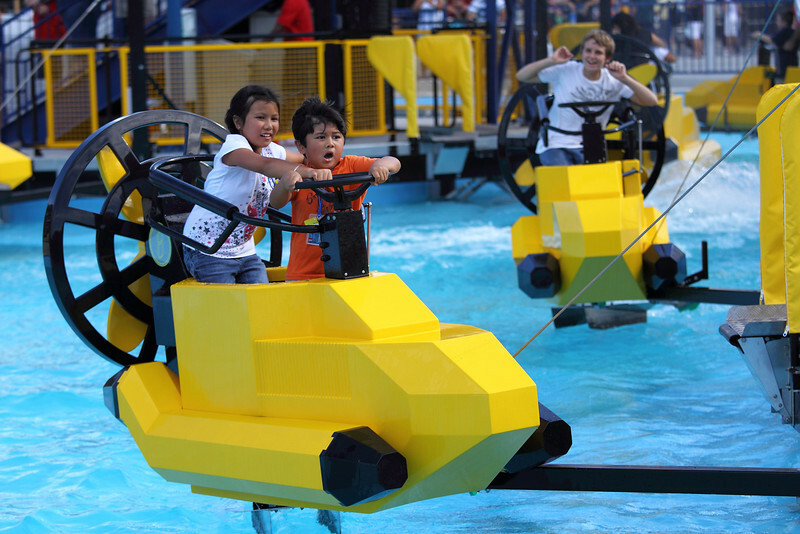 Big kids like me want to play as well in this LEGO wonderland. 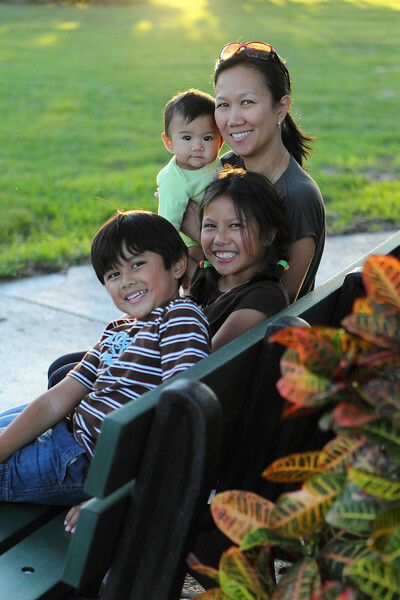 Taking photographs and HD DSLR video all day of my family takes a toll on my "little kid at heart" mentality. 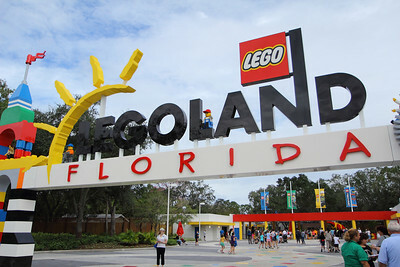 LEGOLAND Florida has big kid roller coasters such as the "COASTERSAURUS" in LAND OF ADVENTURE and "TEST TRACK" in LEGO TECHNIC to sooth my wild side. 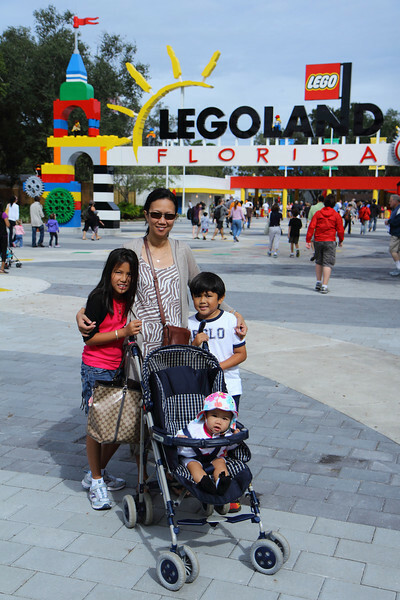 The family enjoyed this very brief and wet preview of LEGOLAND Florida this past weekend. The torrential rain deterred us from some rides and attractions including the historic botanical Cypress Gardens. Luckily we have the LEGOLAND annual membership pass to comeback to enjoy the rained out Pirates' Cove Live Water Ski Show and the ISLAND IN THE SKY ride. Well, Rome was not built in a day and we have the year to play and eat Granny's Apple Fries at LEGOLAND Florida. 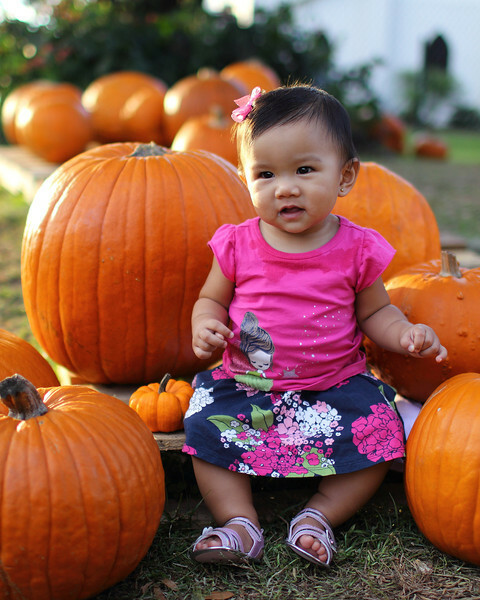 This is a 1080p video shot with the Canon EOS Rebel T3i/600D paired with the Canon EF-S 17-55mm f/2.8 IS lens at 29.97fps. Edited with Final Cut Pro and used Compressor to get a 1.3gb h264 video file. I also used the Canon E-1 Movie Plugin to transcode to AppleProRes422. For audio, I used the Sennheiser MKE400 shotgun microphone. 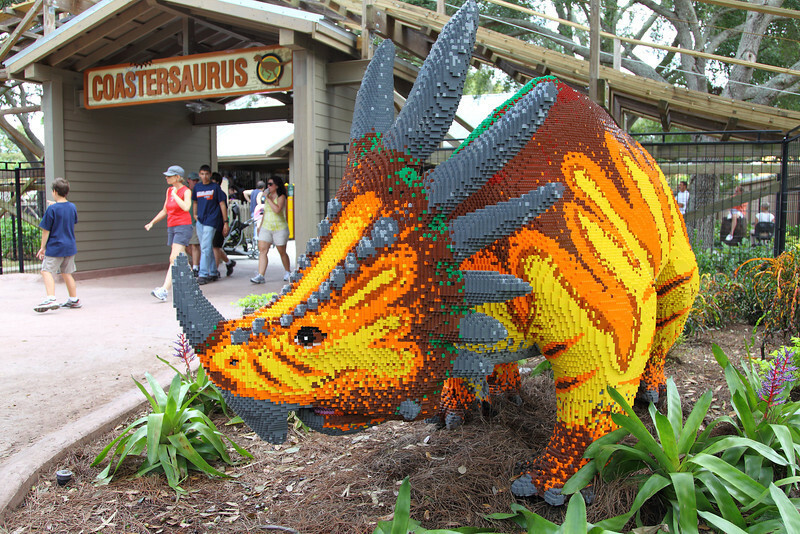 You can view more pictures and video in my New LEGOLAND Florida Preview Gallery. 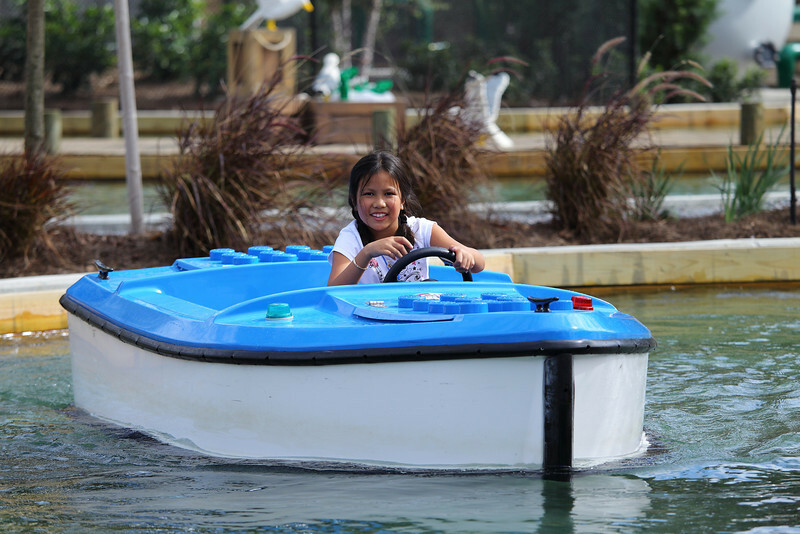 UPDATE: Sunny days bring a better and updated LEGOLAND Florida Experience 2011. 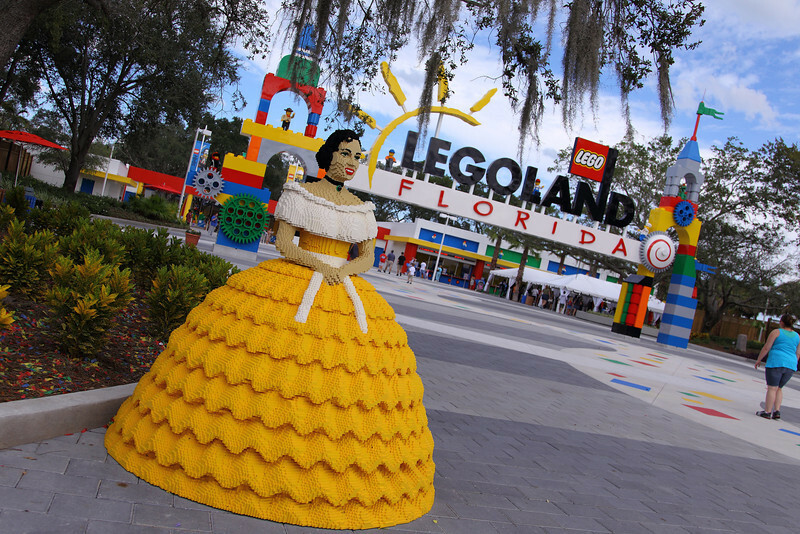 Check out my latest post on grand opening weekend of LEGOLAND Florida in Winter Haven, FL. 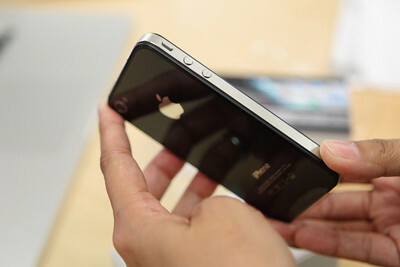 Apple CEO, Tim Cook announced the much anticipated Apple iPhone 4S today from Cupertino, California. To everybody's surprise, the successor to the iPhone 4 was not called iPhone 5. Just like previous generations of the iPhone, the "S" designation for "speed" is just tacked on the end of the fourth generation label. All the fanfare and hoopla preceding the iPhone event makes the new iPhone 4S name very anti climactic. As you noticed, the pictures above are from the last Apple iPhone 4 release. I used the pictures because the new iPhone 4S has the same exact body. Same glass front and back with the same button placement. The good news is your iPhone 4 case will fit the new iPhone 4S. Hooray! Now for the nitty gritty. The new iPhone 4S has the new dual core A5 processor like the iPad 2. For photographers, the new iPhone 4S sports a 8 megapixel camera with a f/2.4 lens. On top of that, the dual core A5 chip with iOS 5 enables an amazing camera one half second recycle rate. I know it is not 10 fps but for all those Facebook photographers, it is a welcome new feature. 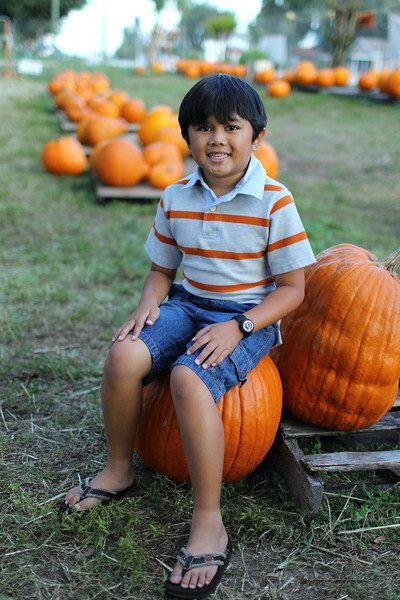 For HD DSLR purists, the new iPhone 4S features 1080p video with built in image stabilization. Wow! The new optics combined with the new noise reduction feature should give an astounding HD video and not so grainy high resolution pictures. Convinced yet? You will have to preorder on October 7th, 2011 and wait in line for your iPhone 4S at your local Apple store on October 14th, 2011. All the high res pics and HD video will not overload your iPhone because there is finally a 64gb model to soak up all that goodness. So, the 64gb iPhone 4S is $399, the 32gb iPhone 4S is $299 and the 16gb iPhone 4S is $199. The best news is the previous iPhone 4 8gb is now $99 and the very old iPhone 3GS 8gb is now free with new contract. What a bargain! I will probably be waiting in line with the rest of the world on October 14th for the new "World" iPhone 4S. 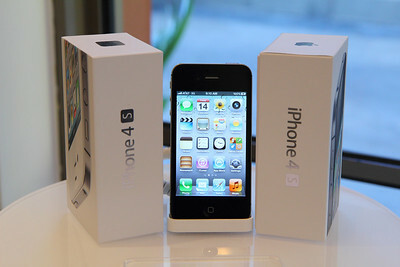 The new Apple iPhone 4S has both GSM and CDMA built in, so it can reach all wireless carriers like AT&T, Sprint and Verizon. Former Apple CEO Steve Jobs may have gotten his ultimate wish for every man, woman and child to have an iPhone in their hand. My children certainly agree! 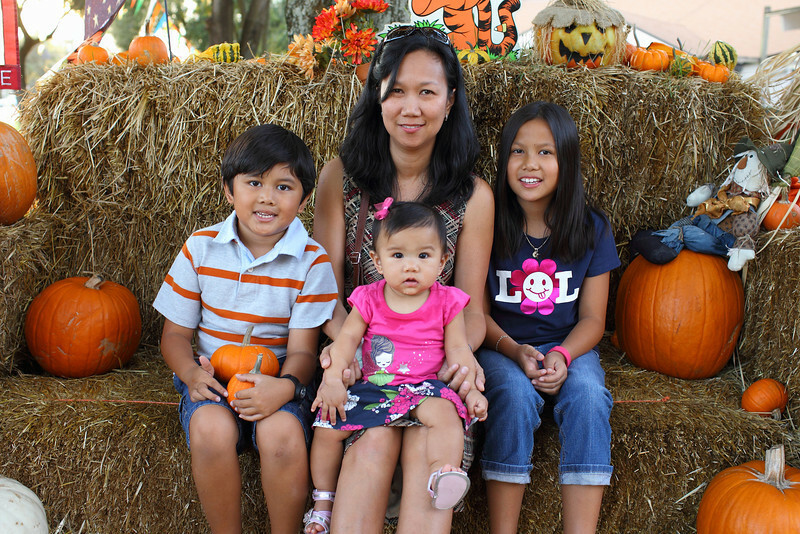 Here is my Apple iPhone 4 unboxing Youtube video from a year ago. Your new Apple iPhone 4S will look exactly the same. You can also check out my Apple iPhone 4 Unboxing Gallery. 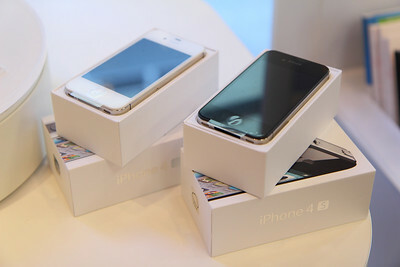 Stay updated on this Apple iPhone 4S product release, become a Fan on my Facebook Fan Page and follow me on Twitter!